A high school senior from Boyle Heights in Los Angeles believes she’ll be able to attend college and find meaningful work upon graduate even though she is an undocumented immigrant. This student shared her optimism with Boyle Heights Beat for a series of interviews with people impacted by the Trump Administration’s September announcement it would end the Obama-era Deferred Action for Childhood Arrivals program. 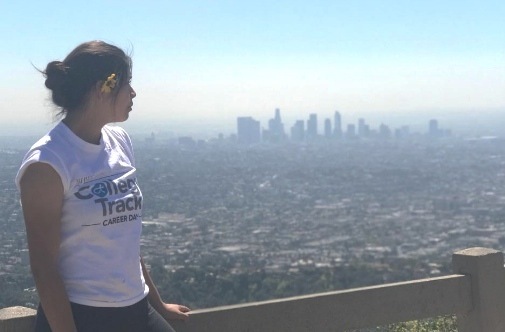 “I’m obviously not happy, but nobody ever knows when we’ll have a pathway to citizenship, so now we’ll be able to fight back.” Read more at Boyle Heights Beat. This entry was posted on September 5, 2017 by Manager in Boyle Heights Beat, Print and tagged Deferred Action for Childhood Arrivals, Dreamers, undocumented immigrants.